Showing results for tags 'CAV: SO'. Hey everyone! Newbie here. I got the CAV kickstarter box a few weeks ago and have been really itching to paint something with hard lines for once (old 40k tyranid player). I decided to start with the terrans because I bought planes, tanks, and CAVs from them so it would give me a nice wide range to get comfy with. I decided on a theme similar to that of the imperial fists from Warhammer 40k- yellow with red accents. As I went on, however, the scheme changed more and more until it became a much more rugged desert theme. Take a look: I didn't choose a very time-efficient painting method (will change that when I paint the Rach), but it does look nice. I only use regular old craft paint, except for the inks which are GW. The steps for those interested: Yellow: 1) Mix a 3:2 mix of butternut and nutmeg brown to create the base color, which I call "UTF khaki". 2) After cleaning with soap and water, airbrush everything in a white undercoat (old habits). 3) Airbrush with UTF khaki. The badger intro airgun is worth it's weight in gold for the priming alone. 4) Ink everything up with GW's Reikland fleshshade. It's a nice red color and give the yellow some depth. 5) drybrush with UTF khaki to get the midtones back 6) drybrush with 1:1 UTF khaki : white to get the highlights Red: 1) Paint sections with burgundy. I realized too late that this burgundy was a "cool red" and didn't sit well on its own with the khaki so I had to change up the highlighting. 2) Highlight by edging with a 1 : 1 : 1 mix of burgundy, white, and burnt orange. This makes things a bit warmer and sits better with the khaki. 3) Paint the star freehand. This is the 52nd terran legion and I decided to make their symbol a simple white star. Grey: 1) Start dark, drybrush lighter. Lights: This is my first attempt at object source lighting (OSL). I was inspired by the NOD-like Rach force paint scheme of Skrill. Take a look at his awesome work: http://forum.reapermini.com/index.php?/topic/68610-cav-so-bones-rach-force-completed-reaper-voodoo-more/ So I decided to go for a bright white light which actually comes off as a light blue. Multiple light watered down coats. It is not perfect but it is close enough for tabletop quality and I am excited to get better at it. C & C welcome! Lots more will be coming in the weeks going ahead. Welcome the Friday Feature for 20 February, 2015! First up, the CAV: Strike Operations Quick-Start Rules! The CAV: SO Quick-Start Rules feature optimized rules to help you learn the basic concepts involved while playing your first game. Centered around the Dictator CAV, players will each play one of the feared Rach Empire machines as they pilot it into combat! Model cut-outs and data cards are included for play. High-Res Version (19 MB) (for printing): CAV: SO Quick-Start Rules PDF Low-Res Version (15 MB) (for viewing): CAV: SO Quick-Start Rules PDF We also have the Marker/Counter Cards now available: CAV: SO Markers/Counters PDF and Mission/Scenario Cards. Designed for players to have a quick way to pick random scenarios to play as well as blank ones for your own designs! CAV: SO Mission/Scenario Cards PDF Enjoy! Welcome the Friday Feature for 27 February, 2015! We have been working on the website (www.cavhq.com) and I had hoped it would be further along today as we have a LOT of new Data Cards (everything from the KS plus a couple of more) to put up. Alas that has not happened so I'm going to start loading a few and keep adding to the thread throughout the weekend until they are all up. Updated Construction Program: CAVCPv1537.zip This build includes Data Cards for all of the models featured in the CAV:SO Kickstarter! NEW CAV: Strike Operations Data Cards! Welcome to the first Friday Feature for CAV: SO in 2015! Rulebook Update: The last of the artwork finally made it in and we have updated those sections that were waiting and will be forwarding them on to the printer who is waiting on them to give me the print run date. Our final page count ended up at 144 and is in full color from front to back. While I would love to set a final release date based on the printer's estimated finish time, I hate to get burned should something come up. I see the light at the end of the tunnel and I hope to have some information on a digital copy release but I haven't been given the green light on that announcement yet. Rule Update: We have made a change in models with the SA: Bulky in regards to squad creation. Going forward the only models automatically with this SA are Extra-Heavy Chassis Combat Vehicles, Super Chassis CAVs, and Powered Armor. I will be updating the available data cards with this change as quick as possible. COG Update: We have been getting the new CAV:HQ website ready for role out which includes they COG sign up/info page. I will be sending out a link to those that have already submitted their requests so you can get that part done. This will help us get our show schedule for 2015 set up as well and will post in Feb. For the Feature this week I decided to post the Faction Doctrines for those people still on the fence as to what faction they want to support. Each faction receives two doctrines with the initial rulebook release and we will add more later down to road for more variations. Adon Economic Confederation Faction Doctrines Fire and Fury Warfare Doctrine Aggressive Electronic Warfare Much of the technology in use by the Adonese remains at least a generation ahead of that fielded by the other star nations. The use of electronics in warfare to help identify, target, and hinder an opponent remains a prime directive of NADO and its associated member-state militaries. Game Rules: All Adonese models with the SA Active Phase Array or ECM receive an additional 6â€ bonus to the base range of their area of effect. Hyrwyda Dyrnel Doctrine Optical Camouflage The Adonese have taken adaptive camouflage a step further with the use of retroreflective materials and nano-tech in the combat uniforms and armor of their infantry. Optical camouflage projects the scene directly behind a soldier onto their clothing, creating an illusion of â€œinvisibilityâ€. This illusion though is only convincing when viewed from certain angles. Game Rules: All Adonese infantry models receive the SA Rat at no extra cost. and Martial Arts Whereas most militaries reserve more advanced hand to hand combat techniques and training for their special forces, all Adonese military troops are taught â€œHyrwyda Dyrnelâ€ which basically translates to â€œbattle by touchâ€, earning additional mastery levels throughout their military careers. Game Rules: All Adonese infantry models receive a +1 close combat attack bonus vs other infantry models. This bonus will stack with the SA Grenadier. The Almirithil Principality Faction Doctrines The Lend-Lease Doctrine The Enemy of my Enemy is my Friend By the time modern-era CAV designs began deploying in 2240, the manufacturing base of the Principality was not yet to a level to build these intricate machines from scratch. The First Chief Directorate of Foreign Intelligence Services was tasked with securing the technology needed. Since that time several Adonese-built CAVs have been â€œtransferredâ€ to the Principality and brought to the Topolov Defense Collective. Head engineer Mik Fraâ€™Kov and his team then reverse-engineered the designs to develop their own prototypes. In addition to their own strides in manufacturing, the Principality has established official diplomatic relations with the Ritterlich, allowing for trade and an influx of advisors to help with modernizing the Almirithilâ€™s armed forces. Game Rules: When choosing models as part of an Almirithil force group, players may also select any CAV models from the Ritterlich force list to include as part of their overall selection. The Dogs of War Doctrine No Price to Big, No Job to Small Over the last ten years the Principality has taken to hiring Templar â€œFree Companiesâ€ to supplement their own armed forces on several outer rim systems. Game Rules: An Almirithil force group may select, as a specialist squad, a Templar attack squad. In addition, each Templar model will receive the upgrade: veteran for free (no additional TVP). The Ritterlich Republic Faction Doctrines Superior Tactics Doctrine The Hunterâ€™s Edge With their uncanny ability to anticipate the actions of an enemy commander, the Ritter always seem to be one step ahead. Game Rules: Once per turn, a Ritter force group commander may select the initiative card that was just turned over and send it to the bottom of the deck. Lightning Warfare Doctrine Blitzkrieg Ritter commanders spend their entire career training to fight while â€œon the moveâ€, exploiting any weakness the enemy may show. Game Rules: Every non-infantry model will receive the SA: Assault +1. The Empire of Malvernis Faction Doctrines Fanaticism Doctrine The Hammer of Khardullis During battle, followers of Khardullis have been known to commit â€œmartyrdomâ€, sacrificing themselves in a last-ditch attack to cause as much damage as possible before dying. Game Rules: The Hammer of Khardullis allows any non-infantry model to â€œsacrificeâ€ itself (removed from play), regardless of its current damage track, in an attempt to destroy an enemy model in one last desperate attack. A variant of salvo fire, a player will make a number of combat rolls equal to twice the number of direct-fire weapon systems being used for the ranged attack, each receiving the salvo fire situation modifier bonus. Example: An Assassin CAV firing both medium MACs at a target as part of a Hammer of Khardullis attack would make four combat rolls, each receiving a +1 situation modifier (in addition to any others applicable ones) for the salvo fire bonus. Upon completion of the attack, the Assassin is removed from play. Conscription Doctrine Defense Force Militia A Malvernian male can be called up for military service at any time. As a result it is common for force commanders to activate additional troops from planetary militias to bolster their regular troop strength before a battle. Game Rules: Each Malvernian infantry or mechanized infantry squad will receive two additional infantry models for free (no TV cost), regardless of normal squad limitations. Upgrades and transport must be purchased separately. The Greater Empire of the Rach Faction Doctrines Children of the Storm Doctrine Storm Strike Rach warriors favor close-in fighting, sacrificing defense in an effort to overwhelm their opponent and take them out in one devastating blow. Game Rules: Non-infantry Rach models conducting a ranged attack at point-blank range receive a (+2) situation modifier to their attack instead of the normal (+1). and Storm Winds In an effort to get in close as fast as possible, the Rach will override the safeties on their machines breeder in an effort to increase their maximum speed. Game Rules: In addition all non-infantry Rach models will reduce their armor values by (-1) and increase their base movement value by (+2). No Mercy Doctrine Berserker Rach that have become too old to pilot CAVs or other combat craft typically finish their time as a warrior in the infantry. These highly skilled troops will close with an enemy, attacking with abandoned frenzy as they seek an honorable death in combat. Game Rules: Rach infantry models acting as the primary attacker in a close-combat assault will do one additional point of damage on any successful attack. The United Terran Federation Faction Doctrines Air Superiority Doctrine Dedicated Air Support The Federation Fleet works closely with the legions to provide close-air ground support, attacking enemy targets in close proximity to friendly forces. To improve coordination, the Fleet provides Forward Air Controller specialists that deploy directly with the legions they are assigned too. Game Rules: A Terran force group will receive a Forward Air Controller (SA FIST 3) that may, once each turn, request a free Gunship Assault (see Battlefield Support Strike Packages) during the activation of any friendly squad. An attack not used by the end of a turn is lost. and Air Power In no military does air power play such an integral part as that of the Federation, assigning multiple assets to support the troops on the ground. Game Rules: A Terran force group may purchase an additional flight squad for each primary squad taken that does not count towards the normal primary/secondary squad ratio. 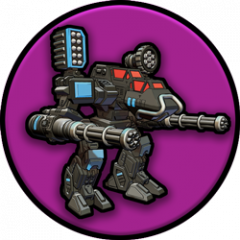 Artillery Superiority Doctrine Dedicated Artillery Support The majority of Terran legions include a dedicated artillery force to directly provide fire support to the units they are assigned to. Game Rules: A Terran force group may, once each turn, request a free Artillery Strike (see Battlefield Support Strike Packages) during the activation of any friendly squad. An attack not used by the end of a turn is lost. and Networked Federation infantry receive extensive training as forward observers to improve the accuracy of artillery fire, especially when requesting a â€œdanger closeâ€ fire mission over the BattleNet. 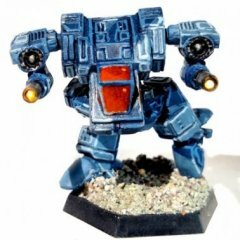 Game Rules: All Terran infantry models receive the SA FIST 1 at no extra cost. The Grand Order of the Temple Faction Doctrines Elite Training Doctrine Bonds of Brotherhood Many Templar soldiers spend their entire active careers in a single unit, resulting in a fanatic-like devotion to the men and women they serve with. This has led to an unwillingness by the Templar high command to move troops from one unit to another, resulting in many units fighting below their authorized force levels. Game Rules: The following squad types, as part of a Templar force group, have their minimum model requirement reduced by one: Attack, Fire Support, Flight, and Recon. Superior Equipment Doctrine Cutting Edge The Templars have always been on the cutting edge of new tech development, devoting a large portion of their annual budget to state-run research facilities and the engineers and scientists required to man them. Much effort is also spent by the Order of Scientific Intelligence in the gathering of â€œcompetitive intelligenceâ€ across the galaxy in the form of economic and industrial espionage. Game Rules: A Templar force group will receive additional specialization points, equal to 10% of their starting threat value pool, to use on any non-infantry models for the purchase of battlefield upgrades only. This last Sunday I hosted a game at my shop on the board we will be using at ReaperCon this year. I thought I would put up a couple of pics and show the opening rounds of our battle as well. It was a Adon vs Rach using the following CAVS: ADON Chancellor Challenger Wyvern Sultan RACH Dictator 70B Weasel Vanquisher A Tiamat First off the board: Im playing the Rach, so I move in to engage the enemy! Unfortunately for my opponent I get far enough ahead to catch him crossing the rough terrain of the dry river bed. My Weasel CAV opens up with a salvo shot of 4 LBG 25s at extreme range at the Challenger. I roll a 12 (critical success) for the attack and get a bonus 1d6 to add to my combat roll. It was enough to blast him for 2 points of damage and cause a pilot check. He misses it and falls to the ground, forcing him to burn an action next turn to stand up. The rest of the Challengers Squad looks on with horror! Over the next 2 turns, I finish burning through the Challenger, getting hits on the Sultan and Wyvern at the same time, but lose my Vanquisher doing it. :-( I wont bore you with more, but hopefully we will see you at ReaperCon for some more heavy metal mayhem!